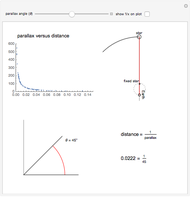 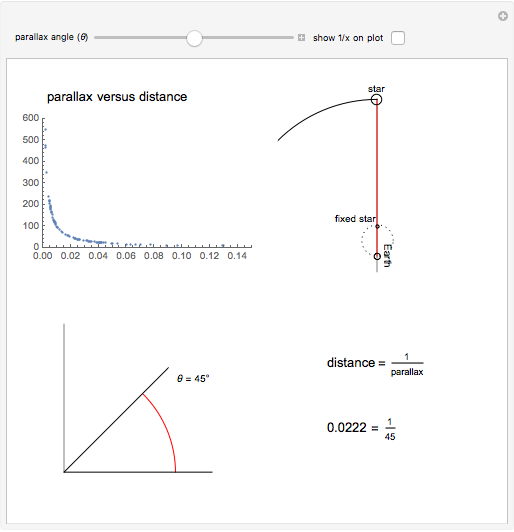 This Demonstration describes the concept of stellar parallax, which provides a method for astronomers to determine the distance to a star using simple trigonometry. 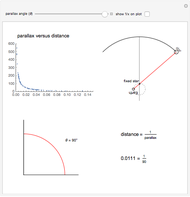 Using a relationship between the distance that a background star apparently travels and the angle subtended by that arc, a trigonometric relationship gives the linear distance to the star. 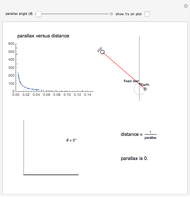 Distance (expressed in parsecs) is equal to the reciprocal of parallax (in arc seconds), consistent with the small-angle approximation. 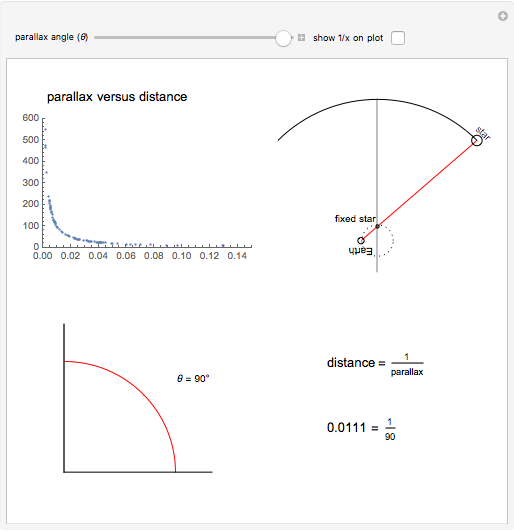 You can vary the parallax angle to change the distance and the arc that the star subtends. 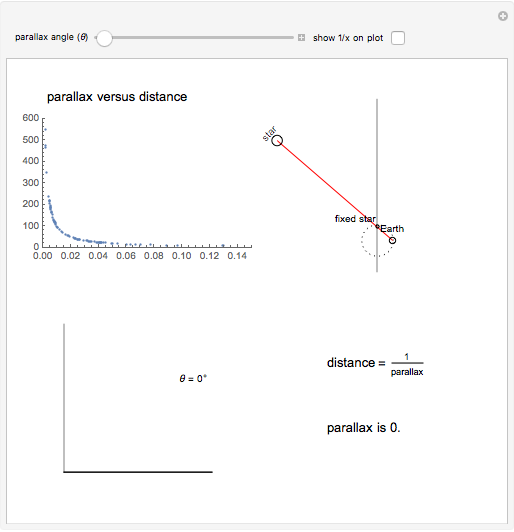 The four parts of the graphic describe the inverse relationship between distance and parallax, including the plot on the top left that shows parallax versus distance to nearby stars.